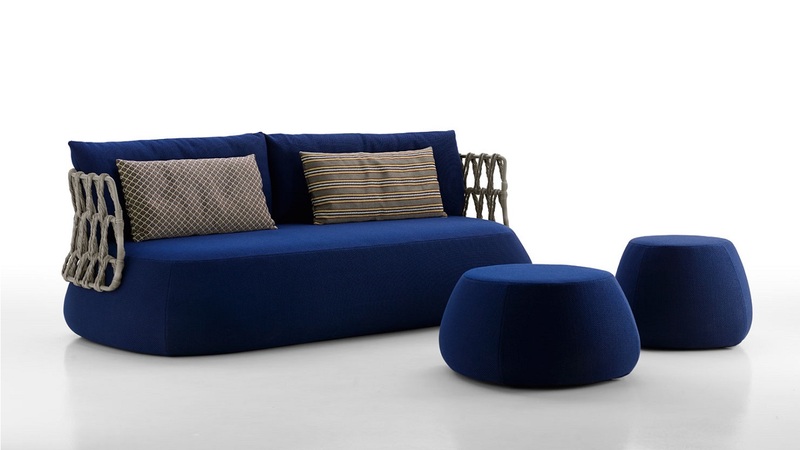 Inspired by their own Fat-Sofa seating system for indoors, B&B Italia premieres the Fat-Sofa Outdoor 2015. Sinuous, rounded and supple shapes distinguish B&B Italia’s Fat-Sofa seating system. 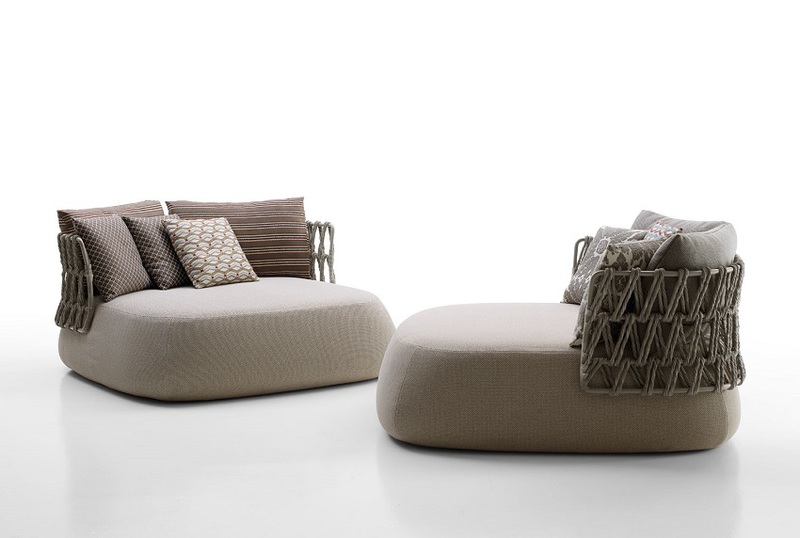 Now, the Italian furniture line debuts the Fat-Sofa Outdoor 2015. The collection offers islands of relaxation with soft yet durable seating. 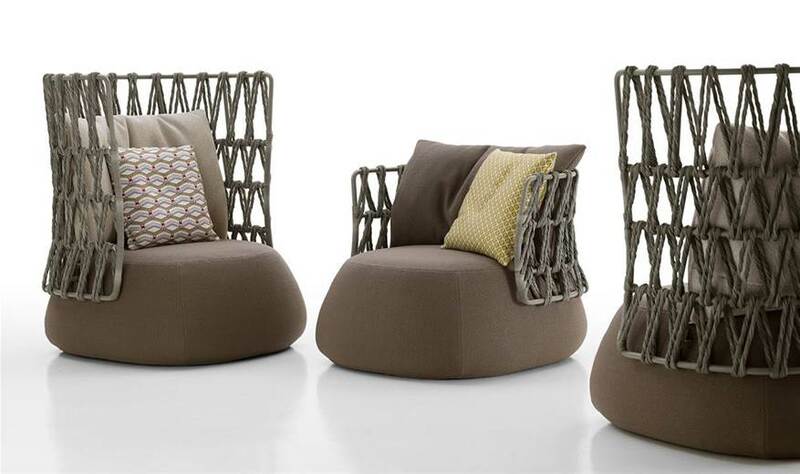 The intricate weave pattern on the back, made of tortora colored twisted polyethylene fibers, gives the design an airiness. This matches well with the stuffed base. 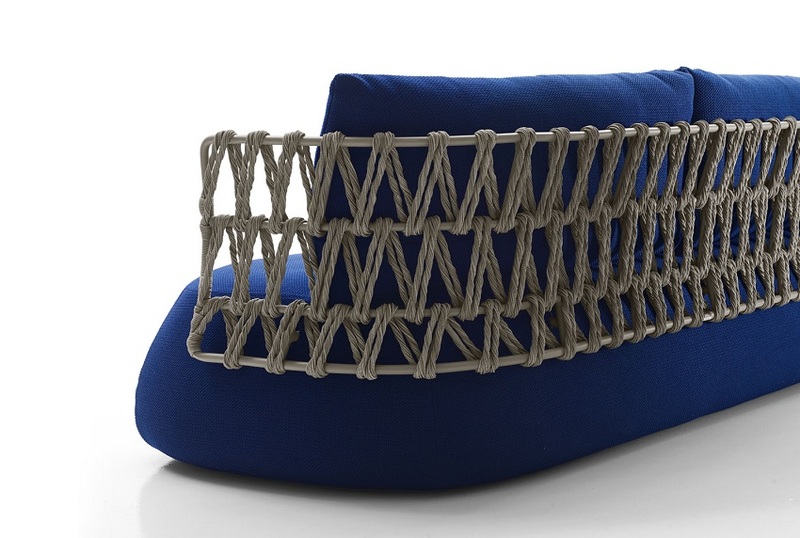 Just like the indoor version, the Fat-Sofa Outdoor is designed by Patricia Urquiola. Born in Ovieda, Spain, Patricia now lives and works in Milan. 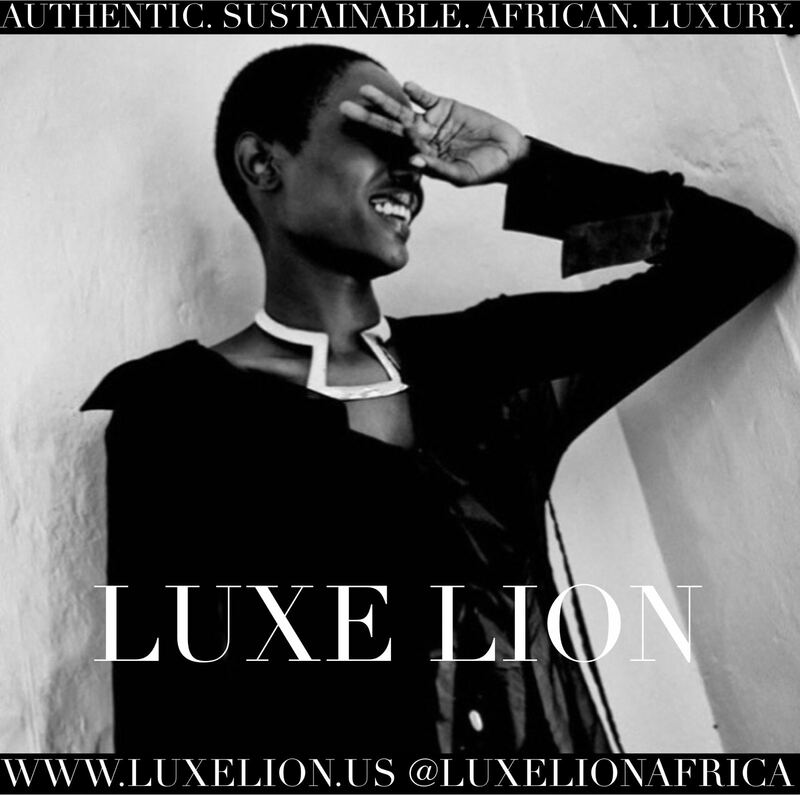 She has done myriad design projects for B&B Italia. These include the Tufty-Time Sofa, her plush modern revamp of the Chesterfield, and the luxurious Tufty-Bed. 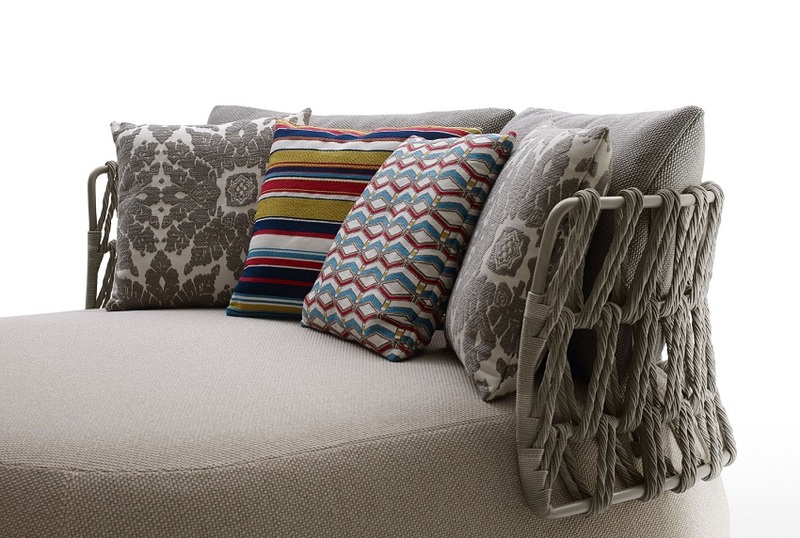 Her Fat-Sofa Outdoor seating system comes in an array of colors with mix and match pillows.